Qualifying for a home loan, and coming up with a down payment can be very intimidating. But the good news is that it is becoming easier to qualify and have a lower down payment required. Mark Fahey at CNN Money tells about the changes. The Federal Housing Administration (FHA) backs loans, and has required 1.35% for this. It has dropped to .85% for 2015. 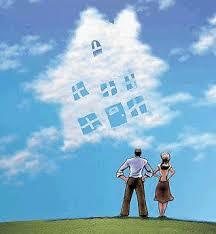 You can check here to see what the FHA requires from homebuyers. Fannie Mae and Freddie Mac guarantee mortgages. Both only guarantee to first-time homebuyers or refinances, and Freddie Mac is only for low-income homebuyers. They have required 5% down for loans until recently. Fannie Mae reduced the required down payment to 3% in December 2014, while Freddie Mac is reducing it to 3% in March 2015. USDA and VA loans (Department of Veteran Affairs) both offer a variety of mortgage opportunities. USDA loans include no money down financing, as well as other option. VA also offers no money down loans, no outside insurance, and limited closing costs. Regardless of where you receive your loan, if you have a down payment of less than 20%, you will be responsible for paying private mortgage insurance (PMI).There are many different opportunities to qualify for a loan, and with all of the options available, it might be the time for you to see what you qualify for. When you are ready to buy a home, we at Alain Pinel Realtors are here to help you with all of your real estate needs! If you are unsure what your options are, call me, Matt Tenczar, at (408) 605-8124 or contact me via email. You can also visit us at our website for available listings and additional information.